The Zombies performed their classic album Odessey and Oracle live in Lincoln Theatre in Washington, DC on October 8, 2015. Odessey and Oracle is now thought of as a masterpiece of pop, in the same vein as The Beatles' Sgt. Peppers Lonely Hearts Club Band and The Beach Boys' Pet Sounds. But shortly after the album's release, The Zombies broke up. 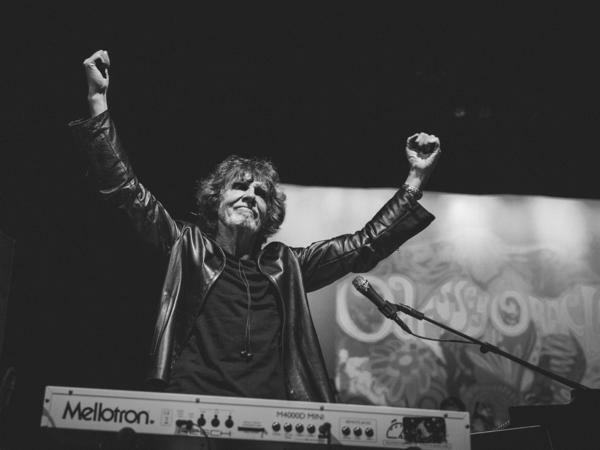 Rod Argent went on to form the popular band Argent, Colin Blunstone received some love as a solo artist and over time Odessey and Oracle found an audience and critical acclaim. You can listen to the full audio of The Zombies' two-set D.C. concert here, including a set of new songs and favorites and then Odessey and Oracle in full. We also have video of two songs, one the classic tune "Time of the Season" and the tune "Chasing the Past" from the group's brand new album Still Got That Hunger. We also have an interview with Rod Argent and Colin Blunstone about how it differs to write songs at twenty as opposed to being seventy years and a bit about the making of Odessey and Oracle. Featuring: Rod Argent, Colin Bluntstone, Viv Boucherat, Hugh Grundy, Tom Toomey, Jim Rodford, Darian Sahanaja and Chris White. Audio engineers: Dale Hanson, Josh Rogosin; Editor: Cameron Robert; Director: Mito Habe-Evans; Producers: Saidah Blount, Mito Habe-Evans, Bob Boilen; Executive Producer: Anya Grundmann; Videographers: Mito Habe-Evans, Morgan McCloy, Julia Reihs, Cameron Robert; Photography: Alex Schelldorf; Special Thanks: Lincoln Theatre. Pinkish Black swings moods like none other. 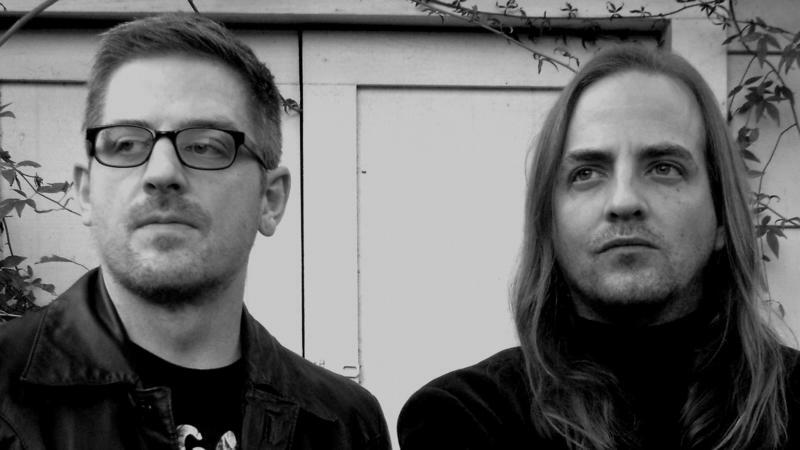 Since 2010, the Fort Worth, Texas, duo has stuck to synths, drums and Daron Beck's Gothic croon without the urge to expand — but it evolves expansively anyway. 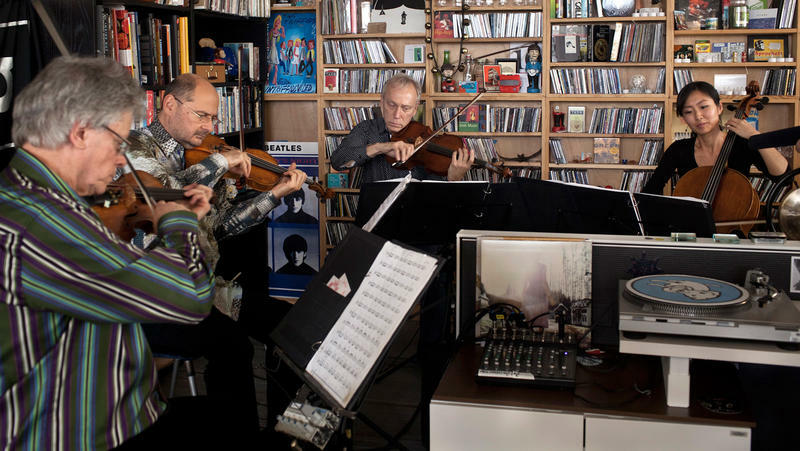 Bottom Of The Morning, the band's third record, all but abandons Pinkish Black's previous metallic tendencies for the eerie heft of '70s Italian horror-movie soundtracks (think Goblin or Ennio Morricone on a sinister jazz kick).